This year, we’re sharing a sneak peek of the artwork for the gingerbread structure, here on the Disney Parks Blog. The Foods team will be busy converting this artwork into a giant gingerbread gravestone between now and September 17, while the Entertainment and Walt Disney Imagineering team prepares Haunted Mansion for its seasonal makeover. 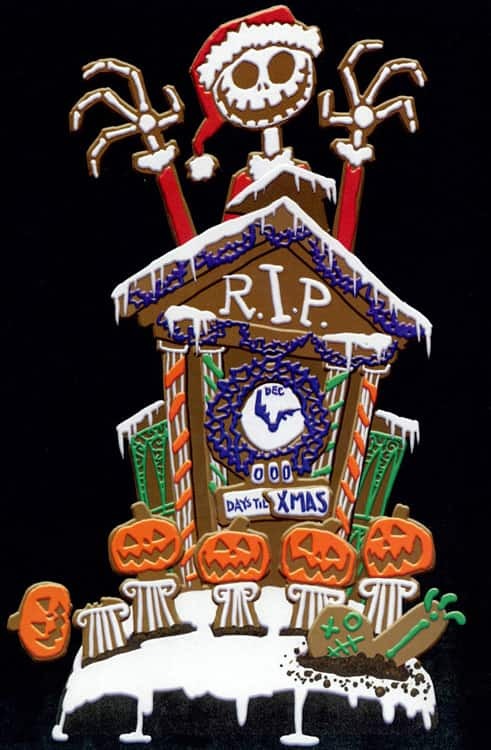 When Haunted Mansion Holiday opens to guests on September 17, be sure to look for the gingerbread gravestone in the Graveyard Scene Ballroom Scene. In the coming weeks, Disney Parks Blog author Valarie Sukovaty will also be sharing behind-the-scenes video that shows how the Foods team puts together these remarkable gingerbread structures. Do you have any questions you would like Valarie to ask the creators of the gingerbread houses? I went Saturday 18 Sept and sadly they did not pump the gingerbread scent into the ballroom this year. Maybe they aren’t or maybe it was not working. My daughter is excited to find out if you ask the cooks any of her questions. When will you be posting the video? She ask me every day. Her name is Katie and she loves to cook and enters our fair with baked goods every year. We are excited to see the gingerbread gravestone when we go in October. is there somewhere we can see all of the gingerbread houses from the The halloween time at disneyland? @Nancy I think you might be right! Can’t wait to see it in all it’s glory! I really miss the clone gingerbread house at the French Market – we could get a really good look at the artisanship that went into the creation of the house, instead of a quick glide-by from our Doom Buggies. I love the idea of smaller, take-home versions, even if it’s a flat “cookie” about four or five inches tall. This is one of my favorites too! I love Jack, the pumpkin king. The music from “Nightmare Before Christmas” is played throughout the haunted mansion que, be prepared to have the tunes stuck in your head all day! Best part about this overlay is that it’s perfect for Halloween and Christmas and you can see it during both! Wish they had it in WDW as well!!! Hi, I would also like to know if the gingerbread gravestone gets some type of protective (non-edible) coating on it, or is it edible? I guess it would be stale after a month, but does anyone get to eat it, or does it have to be tossed out? Do they make only one that sits there the whole time, or are several made for the time NBC is there? Disney World’s HM needs some Halloween love! My favorite holiday with my favorite ride (Pirates, I love you too!) would be fantastic. Love the decorations in the pics. If you haven’t been to WDW over Christmas, then you are missing out on some incredible gingerbread creations. The Beach Club puts up an incredible huge gingerbread carousel with chocolate horses. From top to bottom, it had to be about 8-9 foot. I’d post a pic if I could. My question for the chefs – how long does it take to make? 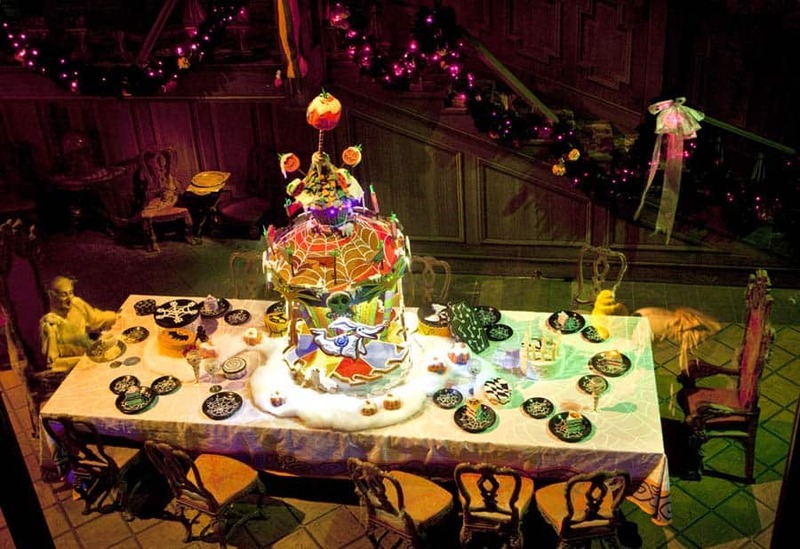 It would be awesome to see a photographic archive of all the Gingerbread Centerpieces from each year. And it would be nice also to see a photographic archive of all hidden Oogie Boogies that we had to find with the map back in 2003. 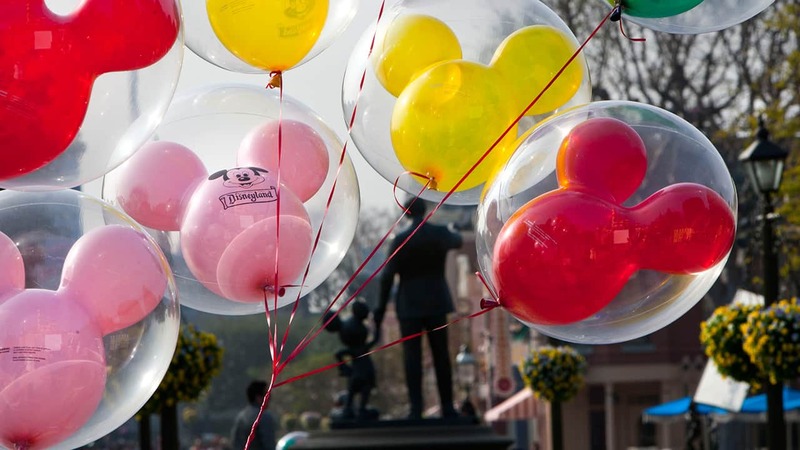 PS – it is my imagination or is there a hidden Mickey on the new sculpture in the lower right area where there are crumbs??? ?